Pre-existing crowns had micro leakage and odor with floss, in addition, patient did not like them and was experiencing phonetic and protrusive interference. Good enough reason to upgrade. 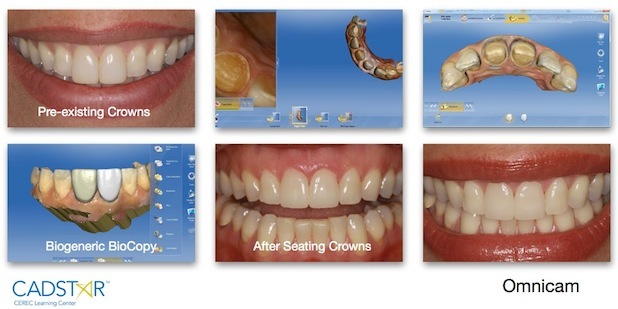 Used e.max HT A1, cemented with Surpass adhesive system and Variolink Veneer 50% mix of +2 and +3. I have found this Variolink Veneer combo ideal for maintaining e.max value characteristics once cemented.